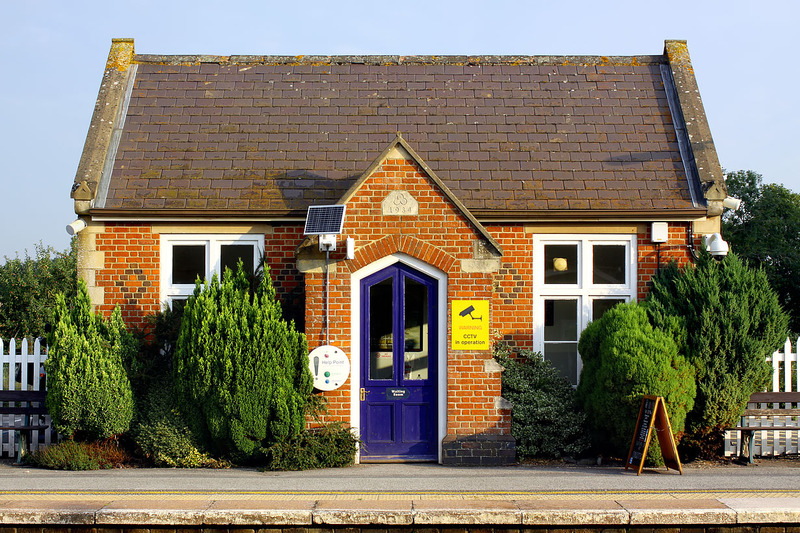 In 1984, Pewsey station's original up platform wooden waiting shelter was replaced by this splendid brick built structure, almost completely matching the original 1862 built station building on the opposite platform. This was a remarkable event, considering that in the 1970s and 80s the usual replacement would have been the ubiquitous 'bus shelter' type structure. Nearly three decades after it was built, it is now looking even more like its nearby Victorian inspiration, as it is starting to accumulate a good covering of lichen. Picture taken on 23 August 2013.